NPCIL Rawatbhata Recruitment 2018 Notification Pdf download link is attached here. See the NPCIL Stipendiary Trainee Operator & Maintainer Vacancy 2018 Eligibility details. Willing candidates who have met the eligibility can apply for NPCIL Rawatbhata Jobs 2018 on or before the due date i.e, 14/11/2018. Check the full details of NPCIL Stipendiary Trainee Operator STO Recruitment 2018 notification including the Vacancy count, Age Limit, Qualification, Selection Process, Salary, etc. Recently, Nuclear Power Corporation of India Ltd, Rawatbhata Rajasthan (RR) Site, Rajasthan has released NPCIL Recruitment 2018 Notification to fill 122 Stipendiary Trainee Operator STO, Stipendiary Trainee Maintainer STM Vacancies. In regard to this, the NPCIL STM STO Recruitment 2018 online applications are invited from the young, talented & energetic aspirants to fill the above mentioned vacancies. The NPCIL Stipendiary Trainee Maintainer STM Recruitment 2018 Registration Process starts from 15th Oct 2018 & ends on 14th Nov 2018. न्यूक्लियर पावर कॉरपोरेशन ऑफ इंडिया लिमिटेड!!!!! Candidates who are looking for Govt Jobs in Rajasthan can check the NPCIL Rawatbhata Recruitment 2018 details carefully. In order to apply for NPCIL Stipendiary Trainee Vacancy 2018, the age limit of the applicants should be in between 18 to 24 years. Candidates who have completed Diploma/ ITI from a recognized trade or discipline are eligible to apply for NPCIL Stipendiary Trainee Operator & Maintainer Jobs 2018. Remaining details of NPCIL Stipendiary Trainee Maintainer Recruitment 2018 like No. of Vacancies, Age Limit, Educational Qualification, How to apply, Process to apply, Selection Criteria, Salary, etc. The important parameters which candidates have to possess in order to apply for NPCIL Rawatbhata Recruitment 2018 are as follows. Candidates must have passed 12th class/diploma in relevant discipline in order to get eligible for NPCIL Vacancy 2018. Full details regarding NPCIL Stipendiary Trainee Maintainer STM Recruitment 2018 Notification like Application Fee, Selection Process, Salary, Important Dates, Links, etc. Candidates have to pay the application fee as fixed by the officials while applying for NPCIL Jobs 2018. The NPCIL Rawatbhata Recruitment 2018 Process includes the following. Rs. 21, 700/- Per Month. The NPCIL Stipendiary Trainee Maintainer STM Recruitment 2018 Apply Online Link will be available active from 15th Oct 2018 @ www.npcil.nic.in. The Closing Date for the submission of NPCIL STO STM Recruitment 2018 Application Form is 14th Nov 2018. Candidates can get the step by step process to fill the NPCIL Stipendiary Trainee Recruitment 2018 Application Form. Find the relevant tab “NPCIL Rawatbhata Recruitment 2018 for Stipendary Trainee Posts” on the homepage. Go through the details provided in the official NPCIL Recruitment 2018 Notification Pdf. Check the Eligibility Criteria for NPCIL Stipendiary Trainee Vacancy 2018. If eligible, then click on “NPCIL RR Site Recruitment 2018 Apply Online” tab. Enter all the required & mandatory details in the NPCIL STM Recruitment 2018 application form. Pay the required fee & upload all the required documents in the prescribed format. Take the printout of NPCIL STO Recruitment 2018 Application form for future reference. 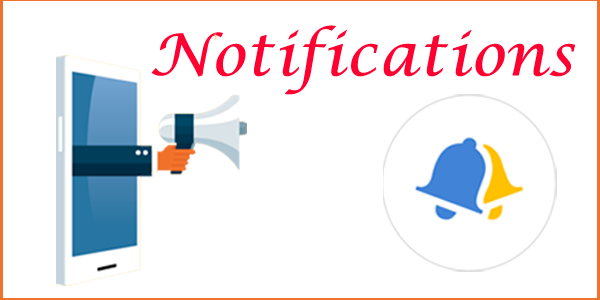 The full details provided here regarding NPCIL Stipendiary Trainee Operator Recruitment 2018 Notification is for the guidance purpose only. For more clarifications, refer the official NPCIL RR Site Recruitment 2018 Notification through the direct link provided below.